The Opposite Of Time For A Dirty Mind On Geek EmaNation Podcast! 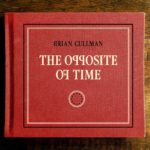 After a rough week that included the end of an amazing Purple Reign, BRIAN CULLMAN has some soothing but thoughtful sounds to distract us from our collective mourning. His latest album The Opposite Of Time is presented in its entirety along with commentary by its creator. And then the show takes a 180 degree turn to partyup with PRINCE’s first masterpiece Dirty Mind. Time for some heavy catharsis, fellow music geeks!